In many ways, college campuses are the ultimate environment for the IoT to flourish. They operate much like small cities — with buildings and other facilities, transportation systems, waste and recycling, security personnel and more — and their inhabitants are digital natives who thrive on using technology to go about their daily lives or solve problems. 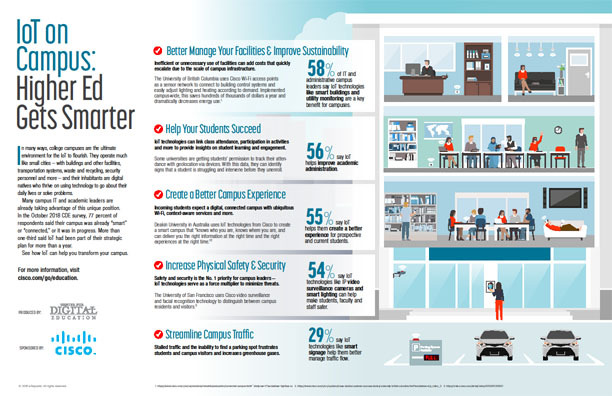 Download this infographic to learn how IoT can help you transform your campus.